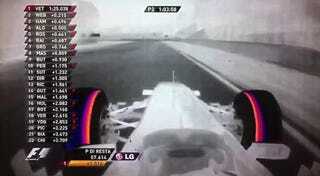 Formula One is showing off a new thermal camera today. It demonstrates how tire temperatures change through the legendary high-speed bends at Monza. Awesome.